Five kindred souls that radiate immense musical talent, personality and versatility!! The band formed in early 2014 when guitarist/vocalist Dave Haywood received an open invitation to perform with drummer John Woodward at a well known Charlotte music venue. That night sparked the idea to assemble focused, like-minded instrumentalists capable of performing virtually any musical genre. Their old friend, Joe Milano, quickly filled the role of bassist. 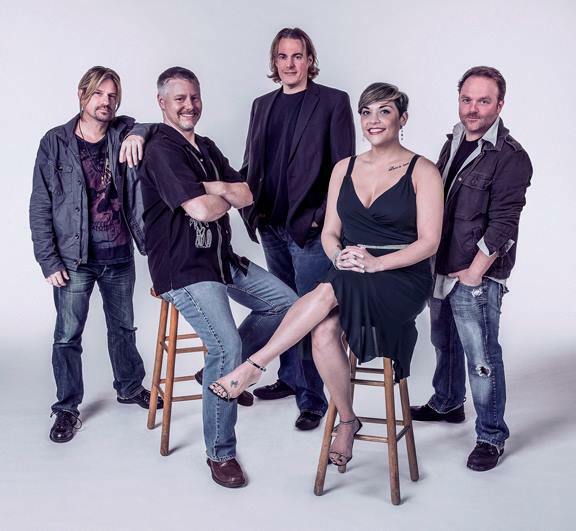 An internet search led to the discovery of session vocalist, Lindsey Tripp and the line up was competed with the 2015 addition of keyboardist Pete Lents. They have achieved critical success due in part to the bands ability to execute request based medleys infusing top 40 pop with funk, jazz, disco, rock, country, rap and beyond. In early 2015, Dave Haywood and Pete Lents were awarded 'Best Guitarist' and 'Best Male Vocalist' in their home city of Charlotte.